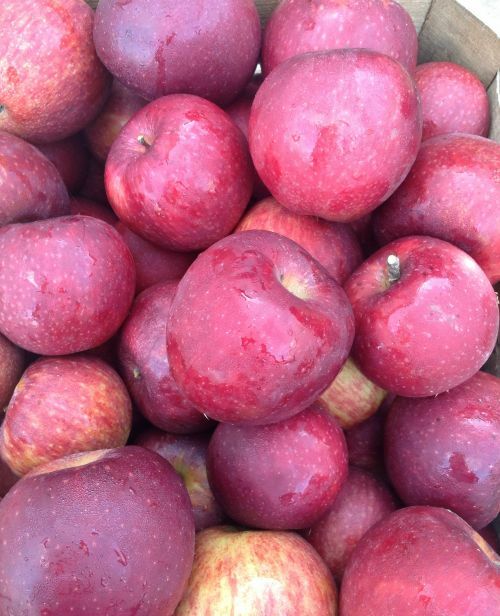 Stayman apples are the favorite of many fruit growers in Adams County. Sought after for their crisp, tart flavor - they're a great way to add bright apple flavors to baked goods or for a tarter-than-sweet apple to snack on. Worth noting, Stayman have slightly thicker skins that some other eating apples but are also closely related to and, in my opinion, a worthy substitute for Winesap apples.